Brazilian police recovered paintings by Pablo Picasso and Candido Portinari that were stolen last month from the country's premier modern art museum, officials said Tuesday. Two suspects were arrested with the paintings, but no other details were immediately available, said Rosa Maria da Costa, a spokeswoman with the Sao Paulo state public safety office. Armed with nothing more than a crow bar and a car jack, thieves took just three minutes to steal Picasso's "Portrait of Suzanne Bloch" and Portinari's "O Lavrador de Cafe" from the Sao Paulo Museum of Art on Dec. 20. The Picasso painting was valued by art experts at about $50 million, and the Portinari at $5-6 million. Police planned a news conference later Tuesday. The arrests Tuesday were the first since the thieves made out with the paintings in a brazen burglary just before dawn when the city's busiest avenue is deserted and the guards inside are changing shifts. Hazy images from a security camera showed three men using a common car jack to squeeze inside a metal security gate, then smashing through two glass doors and running to the museum's top floor to grab the two paintings from different rooms. The museum's security system relied solely on a few cameras and unarmed guards patrolling the building's interior. There were no alarms or movement sensors. None of the museum's 8,000 works of art are insured. A local newspaper, Folha de Sao Paulo, reported the museum's collection is worth more than $1 billion. 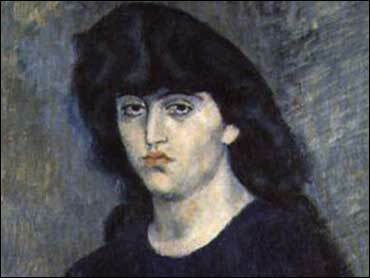 Picasso painted "Portrait of Suzanne Bloch" in 1904 during his Blue Period and it is among the most valuable pieces in the museum's collection. Portinari's work, which depicts a coffee picker, was painted in 1939 and is one of the most renowned works by one of Brazil's most famous painters. Police believe the thieves were paid by a wealthy art lover adding to a private collection. The thieves ignored works including Pierre-Auguste Renoir's "Bather with a Griffon Dog," Vincent Van Gogh's "L'Arlesienne," and Henri Matisse's "Plaster Torso and Bouquet of Flowers." Instead they homed in on just the two paintings. There was another robbery attempt at the same museum in late October but it was foiled by the alarm system. Art thieves hit Brazil last year, when a gang of five men used a carnival street parade to cover the theft of four paintings from a Rio de Janeiro art museum. Those works, valued at around $40 million, have never been recovered.